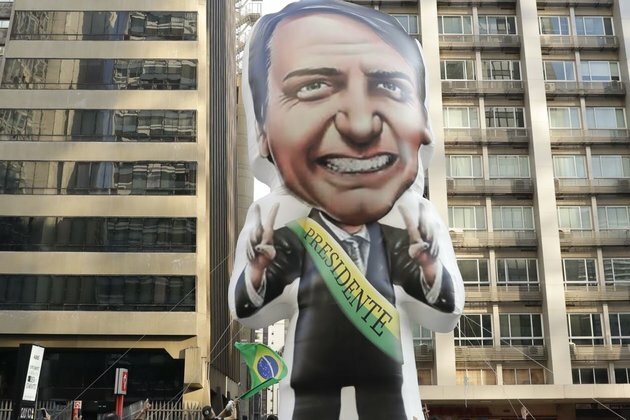 RIO DE JANEIRO, BRAZIL - Brazil's top court on Tuesday spared leading presidential candidate Jair Bolsonaro from having to stand trial for racism, less than a week after the far-right politician was injured in a knife attack during a campaign event. Bolsonaro said last year that members of rural settlements founded by the descendants of slaves, called "quilombolas,'' are "not good even to procreate.'' He also talked about the weight of those slave descendants using a measure that Brazilian farmers apply to animals. 'I feel threatened, like millions of people, by the speeches this citizen has made,'' de Oliveira said.